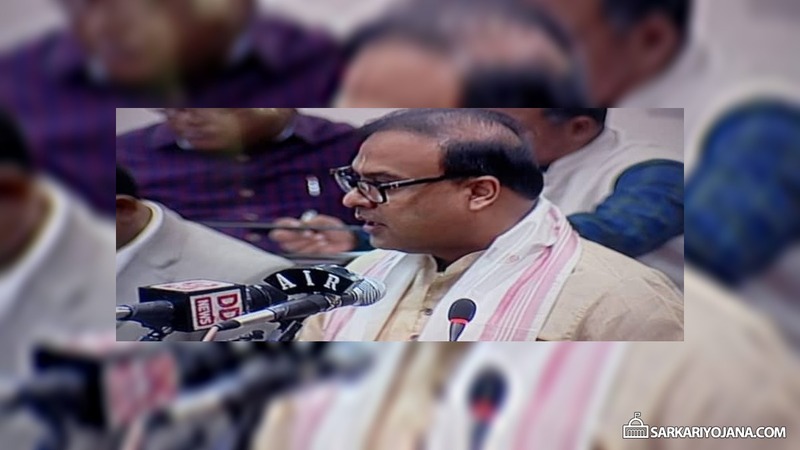 Assam government has announced to launched Indira Miri Universal Widow Pension Scheme in the Budget 2019-20. Under this scheme, the state govt. will provide one time settlement amount of Rs. 25,000 as Immediate Family Assistance. All the women upto 45 years of age who have lost their husband can avail this lump sum amount. This Widow Pension Scheme is going to benefit around 2.4 lakh widows. Indira Miri Universal Widow Pension Scheme 2019 is named after Smt. Indira Miri (popularly known as Mereng). She was a Padma Shri award winner for promoting education in North East Frontier Agency. The state govt. has also launched ANNA Scheme 2019-20, Arundhati Scheme 2019-20, Gyan Deepika Scheme 2019-20, Aapunar Apun Ghar Scheme 2019-20, Minority Girls Scholarship Scheme 2019-20 & I-SELY Scheme 2019-20. The state govt. of Assam has launched Indira Miri Universal Widow Pension Yojana to support widows. This Widow Pension Scheme in Assam will support the family tide over the financial vacuum which is created by the loss of bread earner of the family which is usually male member of family. Under this pension scheme for widows in Assam, all the women upto the age of 45 years who loses her husband will get lump sum amount of Rs. 25,000 as immediate family assistance. Assam govt. has allocated Rs. 136 crore to cover 40,000 families under Immediate Family Assistance Scheme. This scheme of the state govt. of Assam is expected to benefit around 2.4 lakh families. #IndiraMiriUniversalWidowPension Scheme is dedicated to Smt Indira Miri. Central Govt is providing Old Age Pension to around 7 lakh persons & the state govt. will now cover almost equal number of beneficiaries. The state govt. is allocating Rs. 250 crore for the scheme and made a commitment to provide funds on identification of new beneficiaries.